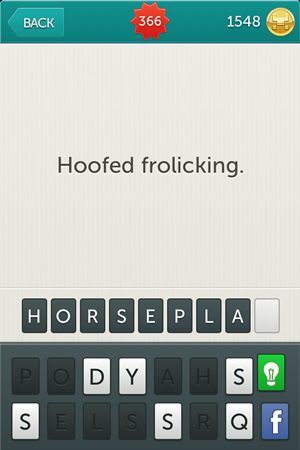 Check out the new Little Riddles Answers we got for you. 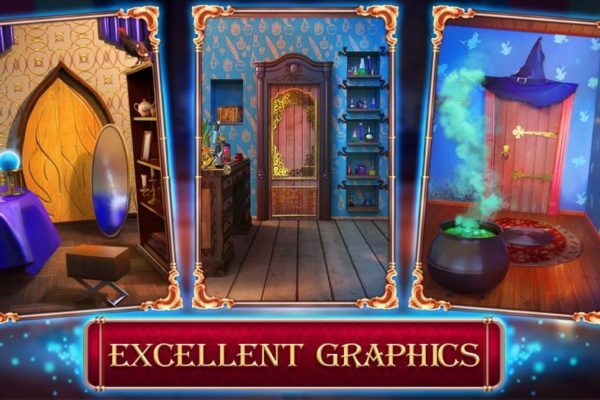 You can find any answer you are looking for in Little Riddles tag if what you need isn’t here, or for the previous levels you have to check Little Riddles Answers Level 331 – Level 360. 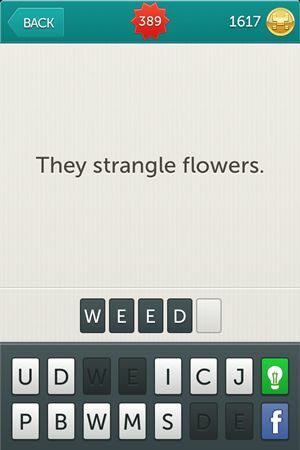 We got, for now, Little Riddles Answers Level 361 to Level 390 and we’ll have more for you to enjoy. 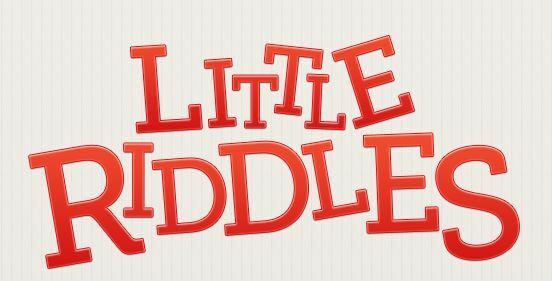 Have fun with this and keep playing, we will be here helping you out with every answer in Little Riddles. 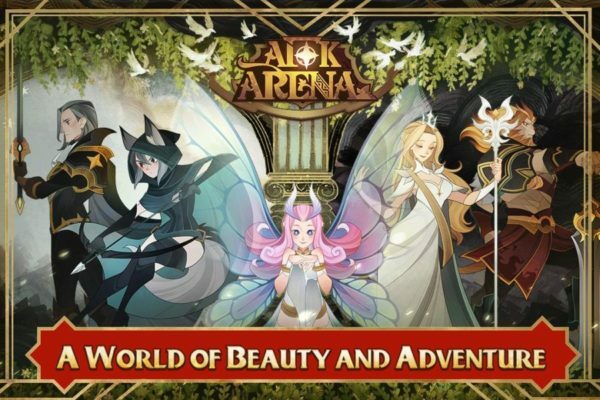 Make sure you don’t miss any! 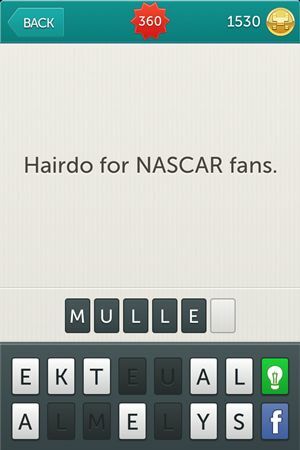 Riddle: Hairdo for NASCAR fans. 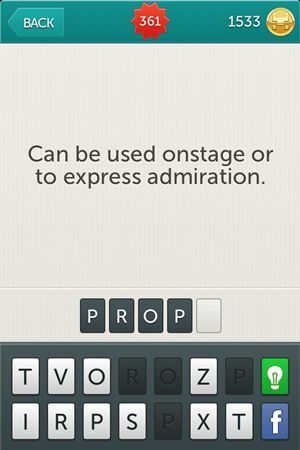 Riddle: Can be used onstage or to express admiration. 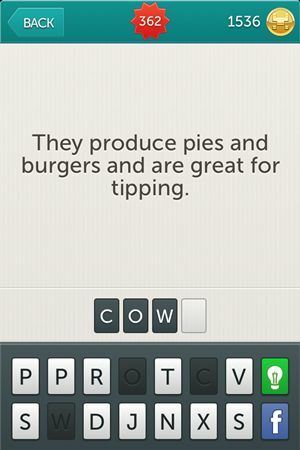 Riddle: They produce pies and burgers and are great for tipping. 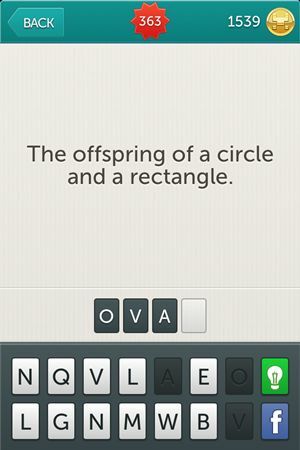 Riddle: The offspring of a circle and a rectangle. Riddle: A stylish winter top that covers your larynx. 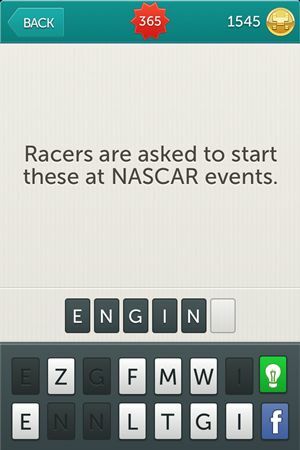 Riddle: Racers are asked to start these at NASCAR events. 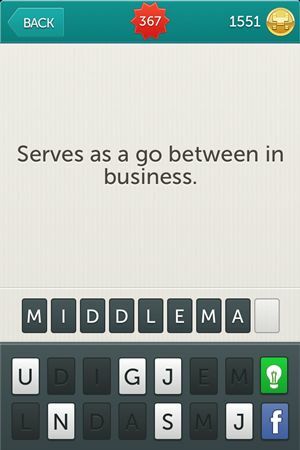 Riddle: Serves as a go between in business. 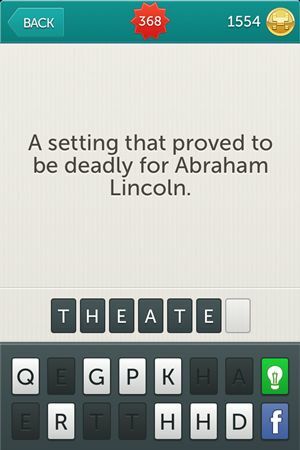 Riddle: A setting that proved to be deadly for Abraham Lincoln. 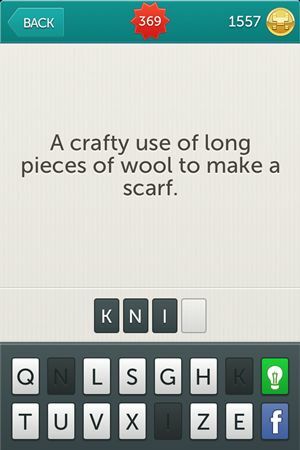 Riddle: A crafty use of long pieces of wool to make a scarf. 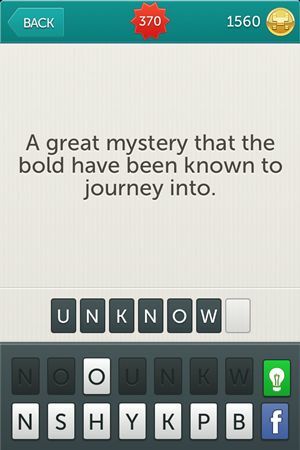 Riddle: A great mystery that the bold have been known to journey into. 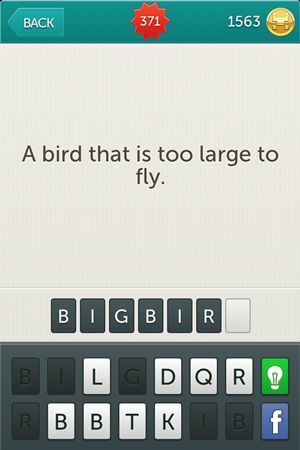 Riddle: A bird that is too large to fly. Riddle: Santa’s favorite entrance for home invasion. 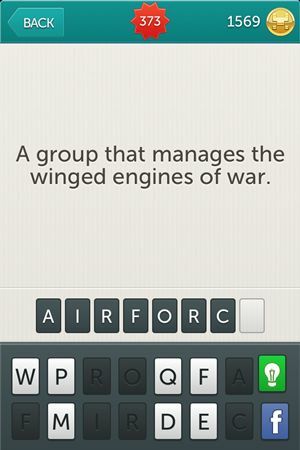 Riddle: A group that manages the winged engines of war. 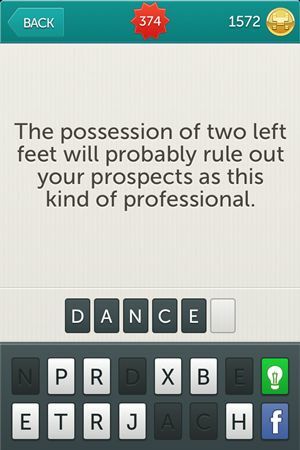 Riddle: The possession of two left feet will probably rule out your prospects as this kind of professional. 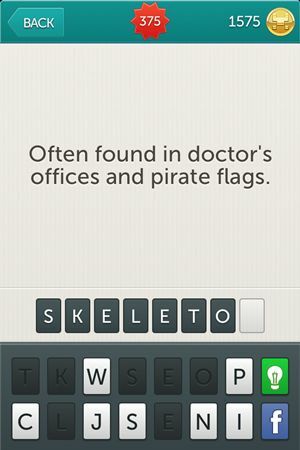 Riddle: Often found in doctor’s office and pirate flags. 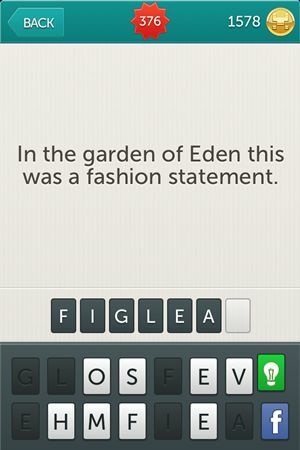 Riddle: In the garden of Eden this was a fashion statement. 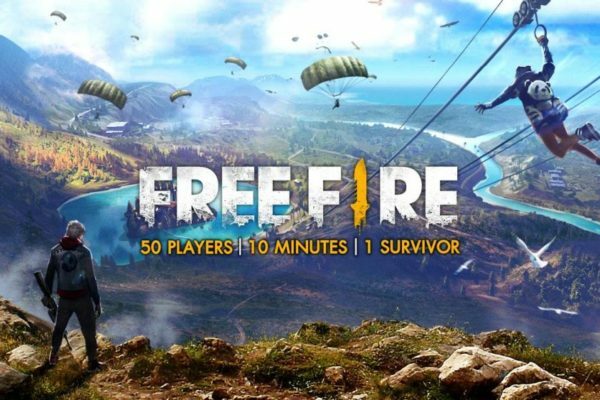 Riddle: The ball drops when the clock hits this. Riddle: Diamonds and stress have this to thank for their existence. 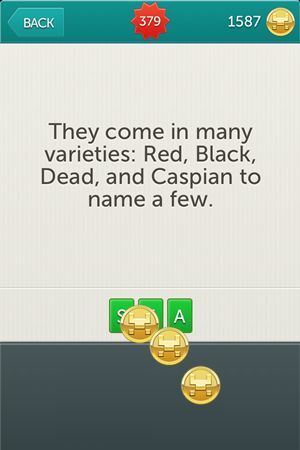 Riddle: They come in many varieties: Red, Black, Dead, and Caspian to name a few. 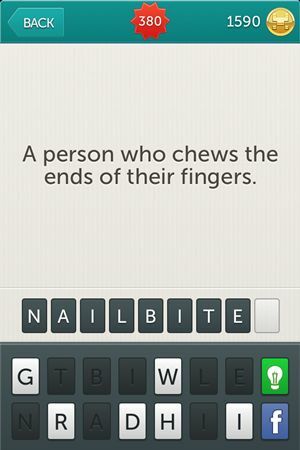 Riddle: A person who chews the ends of their fingers. 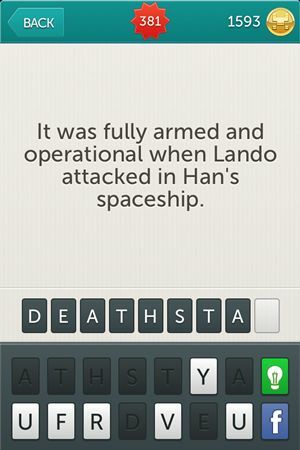 Riddle: It was fully armed and operational when Lando attacked in Han’s spaceship. Riddle: Where humans breath liquid. 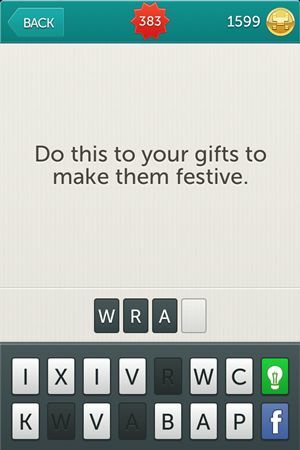 Riddle: Do this to your gifts to make them festive. 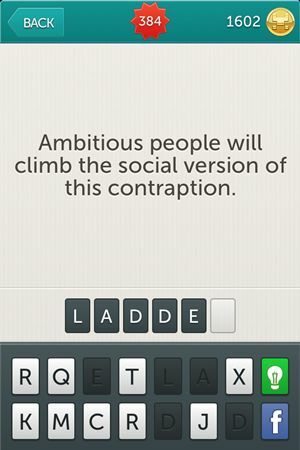 Riddle: Ambitious people will climb the social version of this contraption. 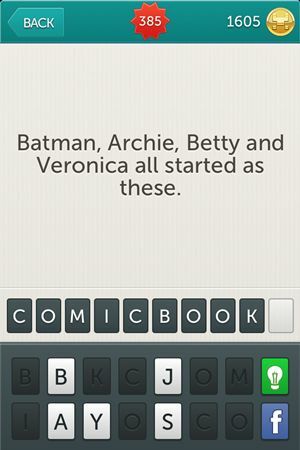 Riddle: Batman, Archie, Betty and Veronica all started as these. 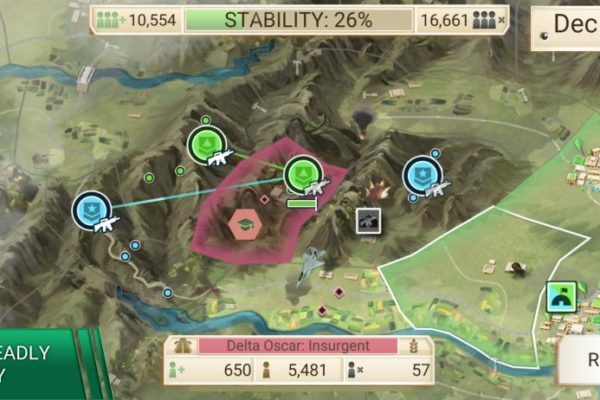 Riddle: The little pink nub that helps rectify mistakes. 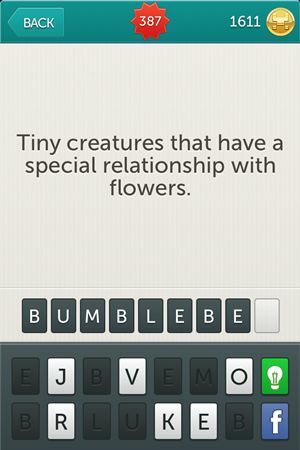 Riddle: Tiny creatures that have a special relationship with flowers. 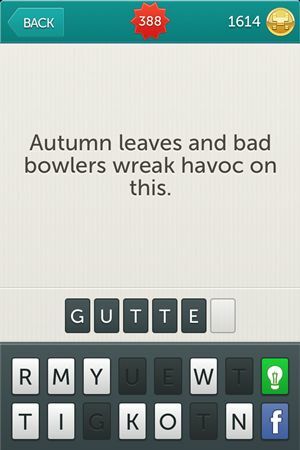 Riddle: Autumn leaves and bad bowlers wreak havoc on this. 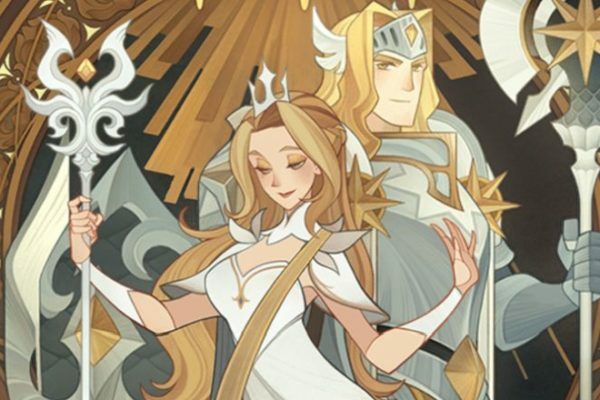 Do you think we’re done? Not a chance! 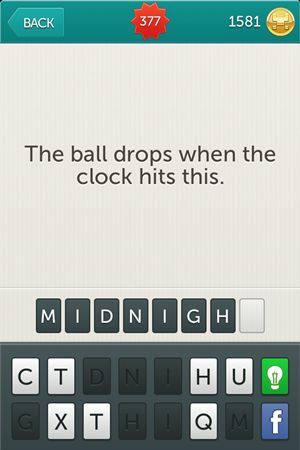 We’ll come back later with more levels for Little Riddles because we like helping you finding the answers to this game. See you in a bit! 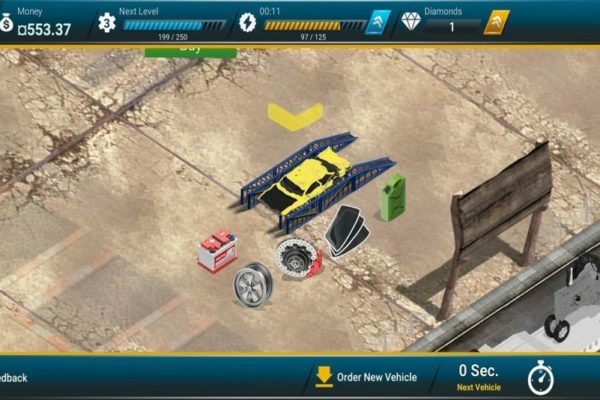 Update: As we said before we came back with more answers for you with Little Riddles Answers Level 391 – Level 420, hope it helps.